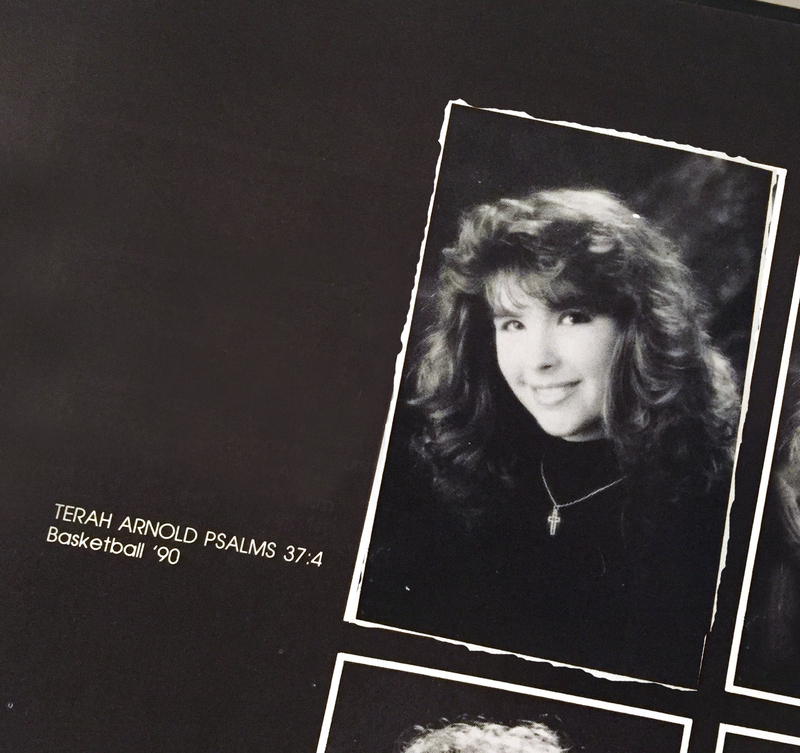 It started with a reference next to my yearbook picture. Fast-forward three years and now I am getting married to the man of my dreams. Once again I give credit to God I’m sure to let everyone know why this worked out so well for me. 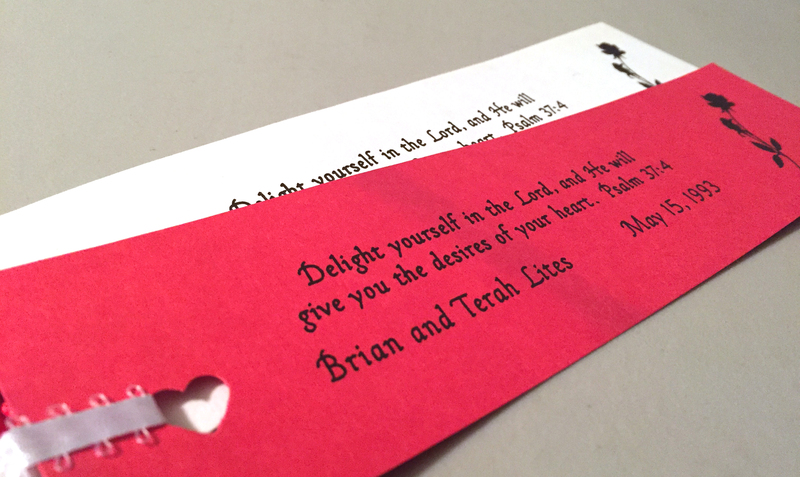 My verse was beautifully printed on bookmarks that were passed out to each and every guest. “See, I am living for God and now He has given me the desire of my heart, a Godly husband. It’s all working out.” Live for Jesus = Desires fulfilled. Check! Fast-forward three years again, and this time we are in the midst of fertility treatments which would last for five long, emotionally draining years. All I ever wanted was to be a mom. This was my desire. I was living for Jesus. What went wrong? All of a sudden, the equation was not adding. I became angry and depressed but every so often the Lord would put that verse in front of me all over again. Almost as if to say, “Do you still trust me? Are you still willing to live for me when the desires are delayed, or worse yet never fulfilled?” It was not easy. Those were some of the darkest years of my life, and sometimes it was all I could do to keep going, but Jesus did not give up on me, not for one second. Over the next ten years, as the Lord led me through truly understanding what this verse means, I began to see myself and my desires in a whole new way. I began to see Him in a whole new way. The delighting He is talking about here is not just simply “live for him” like I had been doing. It is being with Him. It is being glad to spend time with Him. It is to experience Him in the deepest parts of my heart. The Hebrew word for “delight” has a component of “being soft or delicate.” That says to me that as we delight in the Lord we need to remain soft and pliable in his hands. We don’t head into it with our own agenda, we head into it ready to receive His. And as we do we realize that His was a thousand times better. The more I lean in to Jesus, the more I take my desires and place them in his hands, the more His desires for me BECOME my desires. The more I get of Jesus, the more I want of Him. Not what I thought would make me happy, but what I know will fill me with lasting joy. Here is what I see. Desire has the ability to consume us. It is a strong emotion begging for control. If our desire is not placed on the right object it can lead to utter chaos and destruction! 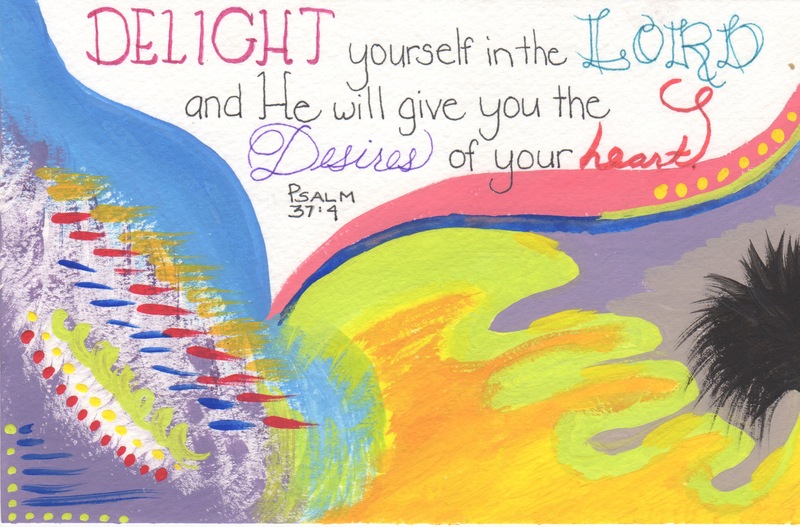 But when our desires come straight from the heart of God they consume us with light, with love, with peace. As his desires lead us, we are no longer grasping for control, but finding the strength it takes to let Him lead. We are moving toward greatness instead of away from it. I am still learning what this looks like. I don’t have every day figured out. But I do know where I need to go when it seems to be spiraling out of control. To the very one who is in control and in whom I find my rest. Terah your blogs are such an encouragement to me. It’s incredibly humbling to me to watch how God uses my words. I love encouraging you!! Great insight! When I first got saved the mantr was ‘God loves you and has a plan for your life!’ That sounded really good…until I realized that His version of love had nothing to do with coddling me…and some parts of His ‘plans’ were long years of waiting. Thanks for this encouragement. I needed it today! I love that I encourage you! It gives a whole new meaning to, “Her children will rise up and call her blessed.” Don’t ya think?